Kevin Marcus’s profession career as a commodity weather consultant spans 38 years. He followed his childhood passion for weather and agriculture to earn a Bachelor’s Degree in Meteorology from Penn State University in 1980 with a minor in horticulture and then a Master’s Degree in Agronomy from the University of Maryland in 1986 He joined Earth Satellite Corporation (now Radiant) in 1980 and spent the first 20 years of his professional career with the commercial services group known as Cropcast. 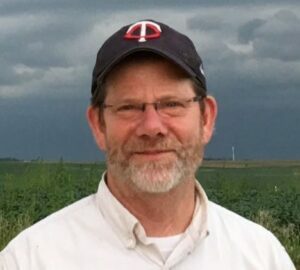 As Director of Marketing and Product Development, he was responsible for developing new crop models and expanding the Cropcast coverage to include the full range of grains, oilseeds and tropical crops. A new opportunity arose in the energy markets in the late 1980s and 1990s when natural gas and electricity trading desks came on the scene. With the support of Earthsat, Kevin was able develop the first services for this emerging industry, which by the late 1990s also included services for the weather derivatives industry. In his marketing role for EarthSat/Cropcast, he led the building of a multi-million dollar commodity weather subscription services. Kevin formed Marcus Weather services in 2001 exclusively for commodity hedge funds and food processors seeking an edge in trading and hedging. At its core, the service leverages a privately developed multi-million dollar weather data base designed for exclusively for commodity weather analysis. Correlated datasets are used to objectively quantify, interpret and identify outliers in global crop yield and energy demand. Clients have come to rely on Marcus Weather Services to anticipate the changes and new weather narratives to gain a competitive trading edge.